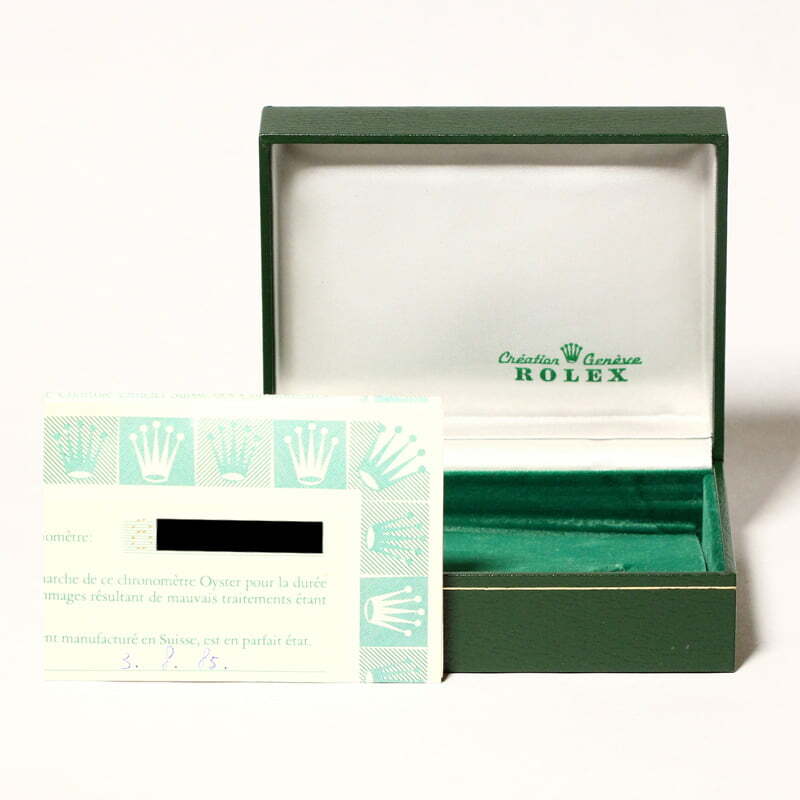 Hans Wilsdorf introduced the Oyster Perpetual Datejust in 1945 during Rolex's 40th anniversary Jubilee. 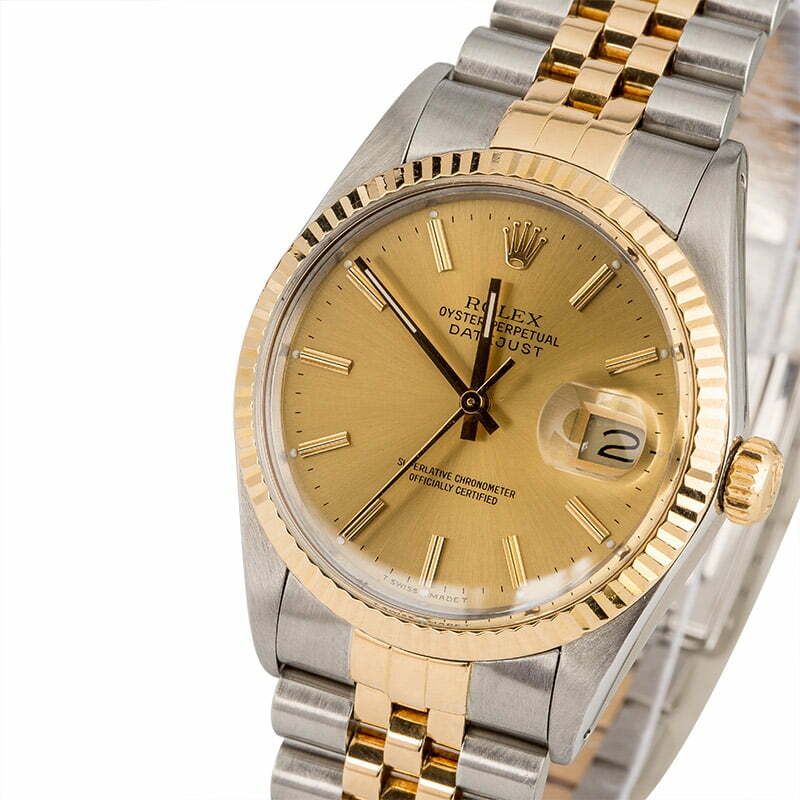 The Datejust brought with it the world's first automatically changing date display as well as the five-link Jubilee bracelet, which was named after the celebration itself. Both of these features have since become fixtures of the Rolex line, making the Datejust an integral piece of Rolex history. The ref. 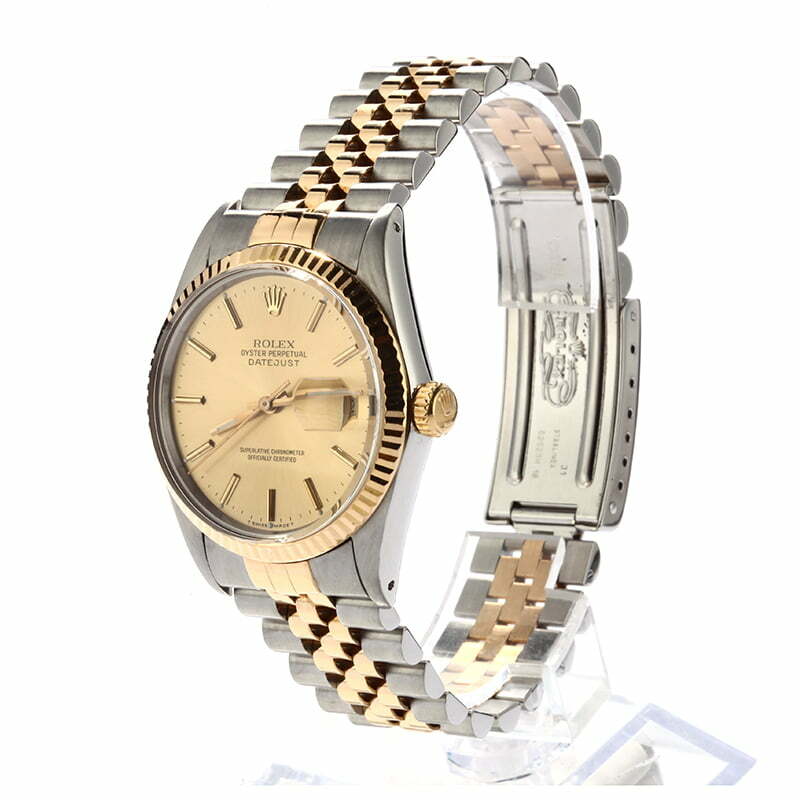 16013 that is presented here today is a vintage preowned Rolex from the mid-1980s. 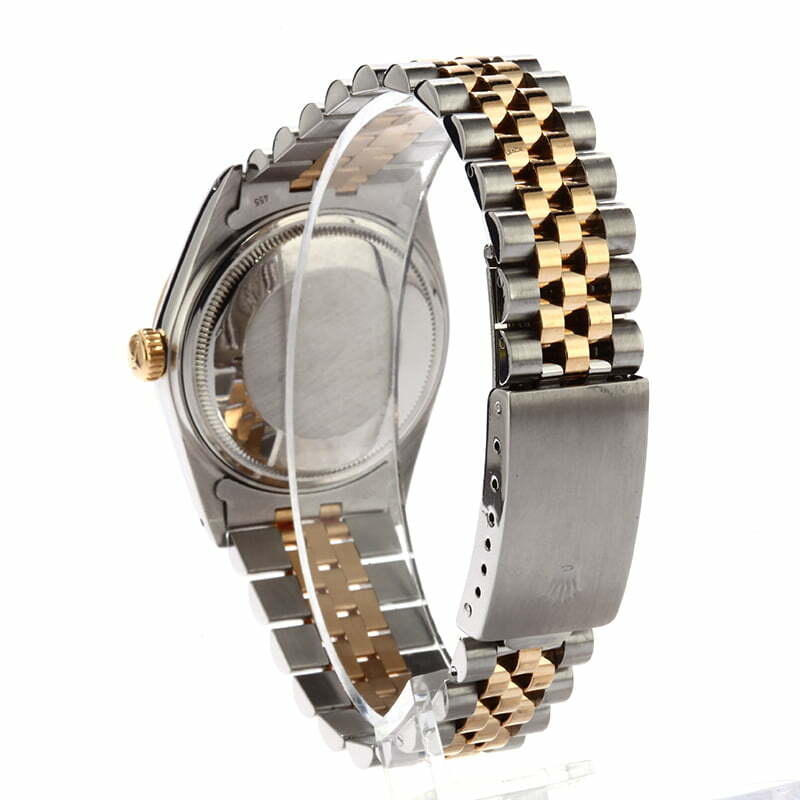 The older style case is topped with an acrylic crystal and wears on a Jubilee bracelet secured by a Fliplock clasp. 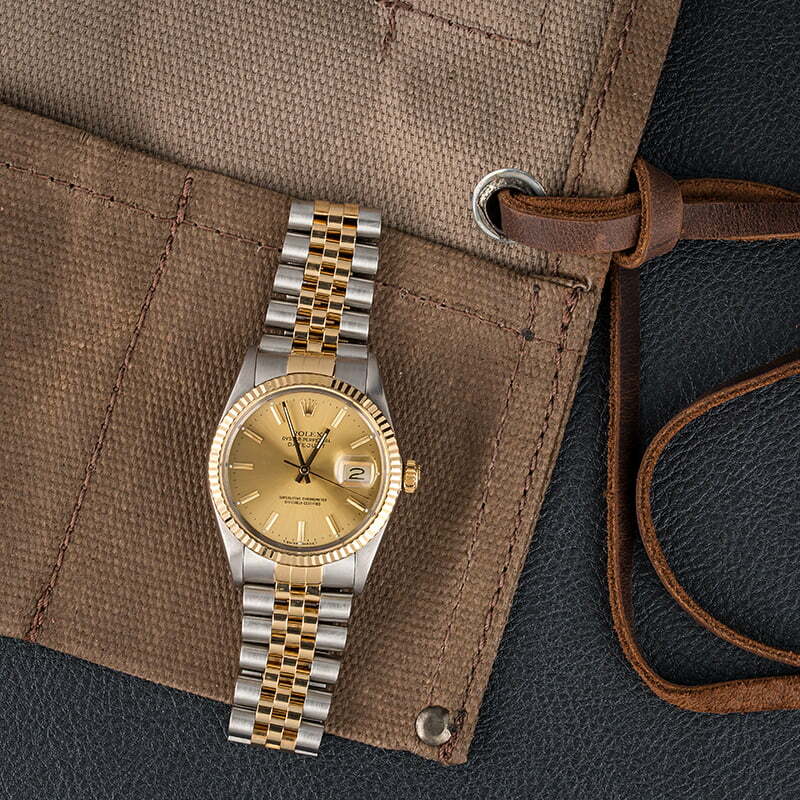 The case and bracelet are presented in a versatile two-tone finish that is highly desirable among collectors who seek an affordable gold Rolex watch.